Most Decorated Olympian in History Gets a Second DUI: What’s Next for Michael Phelps? 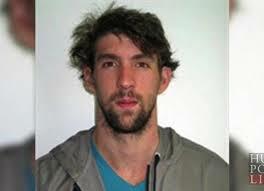 When ultra Olympian Michael Phelps got arrested in 2004 for DUI, he had not yet become an uber Olympic legend. When he got caught with a bong in 2009, he had already transformed the Olympics, but he had not yet become the most gold-decorated Olympian in history. Today, however, Phelps has more gold medals than any one out of the 100 billion people who have ever walked the face of the Earth… and he also has not one but two DUIs under his belt. The 29-year-old champion – who has 18 gold medals in his possession – may soon find himself struggling with corporate sponsors. On the flip side, the Daily News quoted Darren Marshall, a top VP at a major Chicago sports marketing film, who said “Phelps won’t lose sponsors due to this.” Of course, while the financial implications of a DUI could be pretty severe for anyone – including a sports celebrity – the legal implications could be even more severe. If you’re convicted multiple times for DUI in Los Angeles, you can face extra penalties, such as increased jail time, longer probation, steeper fines and fees, and the possibility that prosecutors may try to elevate what would ordinarily be a DUI misdemeanor to a felony charge (if you’ve had 3-plus DUIs within the last 10 years). For help understanding what you can do to protect your rights and freedom after a DUI, contact an experienced Los Angeles DUI attorney here at the Kraut Law Group for a free and confidential consultation with a former high level Los Angeles city prosecutor.